When facing real-life, tough parenting situations, how do you reconcile conflicting parenting advice and figure out what to DO? Tesla entrepreneur Elon Musk’s approach to first principles thinking can help you find the right answer — and more sanity. Elon Musk is an inventor dealing with physics and batteries. Parents are decision-makers dealing with emotions and exhaustion. Let’s tackle a parenting challenge with first principles thinking. Consider a stay-at-home dad of a 20-month-old child. The kind of destructorama boy who likes to climb on furniture and jump off and see what happens. It’s exhausting. Our dad is attentive and engaged with his child, but he has to keep his eyes on him constantly. By mid-morning, he needs a break. He needs to take a shower and have just a few minutes to himself, and then he’s recharged and ready for more time with his kid. The only thing that keeps this child’s attention for the 30 minutes he needs is the TV show Barney and Friends on Netflix. His son likes to watch the same awful episode over and over again. But our dad knows what the American Academy of Pediatrics says about TV for kids under two: No TV at all is the recommended amount. So what should our hypothetical dad do? When we pay close attention and respond to our children’s emotional cues, their brains are growing. Every warm interaction we enjoy together is like Miracle-Gro for their brains. Clearly, our hypothetical dad will be much better at doing these things if he has a break now and then. Sure, in a perfect world, he could heed the advice of the American Academy of Pediatrics and not expose his child to TV at all. But he does not live in a perfect world. We don’t live in a perfect world. Dads and moms everywhere have to deal with trade-offs. 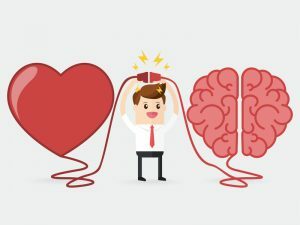 The bottom line: “Love grows brains” is a more fundamental truth than “No TV for kids under two years old.” Using first principles parenting, we can trade off conflicting values and make the right decision for our children and ourselves. Thank you to James Clear for bringing Musk’s story to my attention. The video of Musk describing first principles thinking is at https://www.youtube.com/watch?v=NV3sBlRgzTI. Thank you to Ellen Galinsky for this simple and powerful phrase, which I found in her book Mind in the Making: The Seven Essential Life Skills Every Child Needs.